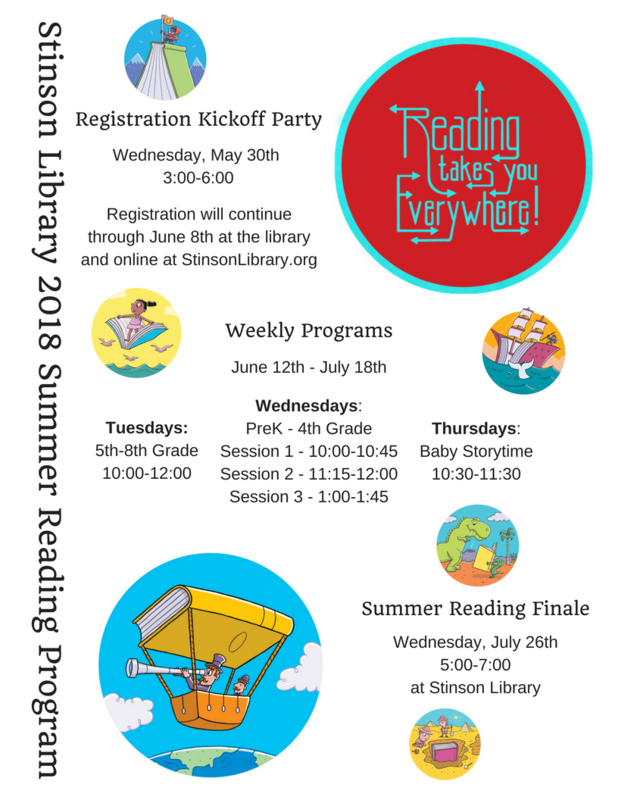 It’s time to register for the Summer Reading Program! Registration ends Friday, June 8th. The program starts on Tuesday, June 12th for 5th-8th grade, Wednesday, June 13th for PreK-4th grade, and Thursday, June 14th for babies and toddlers. Have questions? Feel free to stop by or call us at 618-833-2521. Summer Booksale & Summer Reading Program 2017!! 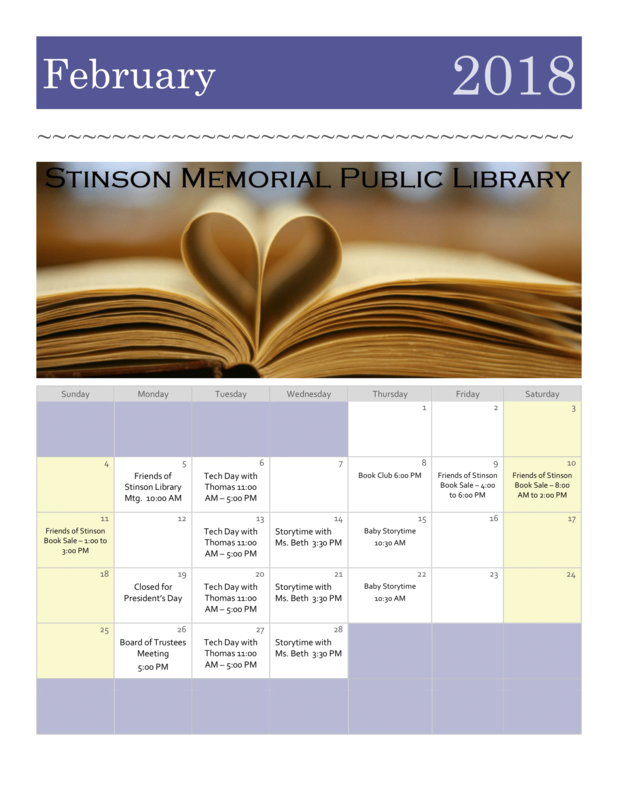 Two of our biggest Summer events are happening in June at Stinson Library! Friends of Stinson have early access and first selection of the books! 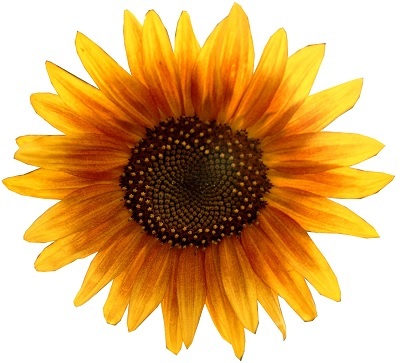 Saturday, June 10th 8 AM to 2 PM – Public sale! Everyone is welcome to stop by to buy books and other media starting at $0.10! Load a bag full to the brim and take all those goodies home for just $5! 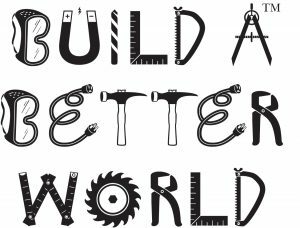 Summer Reading 2017: Build a better world! 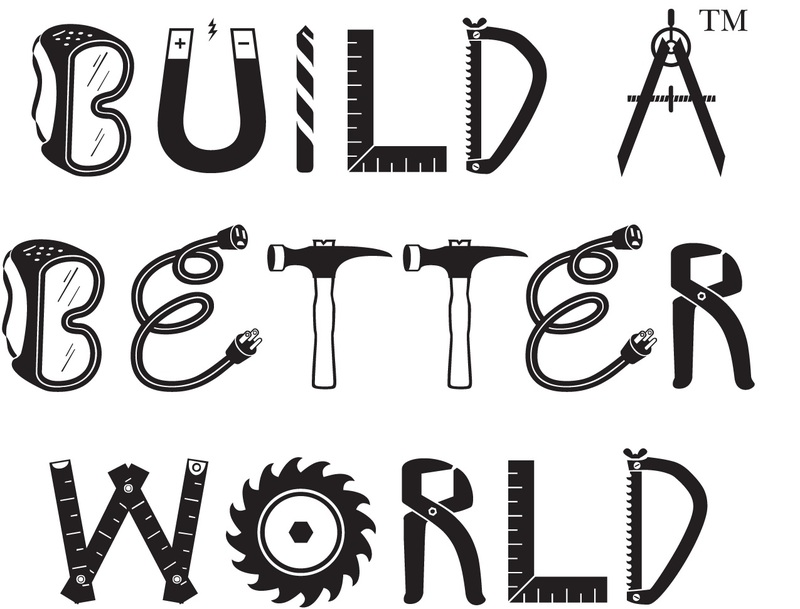 Our world is is growing and changing for the better with the help of inventors, innovators, artists, scientists, musicians, architects, and READERS LIKE YOU! We have big Summer packed full for fun for kids from Preschool to 8th grade and their grown-ups who bring them! Or register in person at the Library! 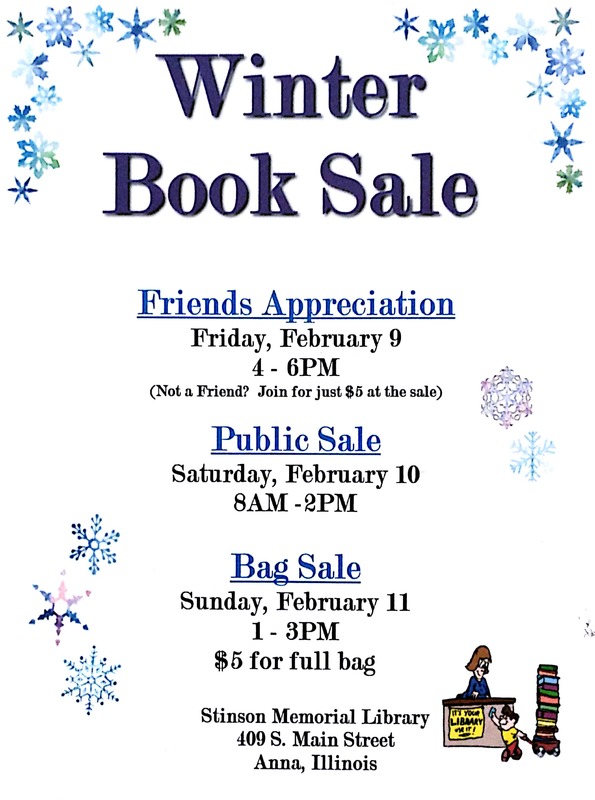 The Friends of Stinson Library will be holding their first book sale of the new year, so dust off your jackets and book it to the library! Members of the Friends of Stinson Library are invited to shop early and find their next favorite book. If you are not yet a Friend of Stinson Library, you can register at the sale to become a Friend (for an entire year) for only $5. Come, one and all to the public library’s public book sale! The early bookworm gets the… book… or something like that. Come in, have a look, grab a book, and help out your local library! No book left behind! Now is the time to get a bag-load of books for just $5! 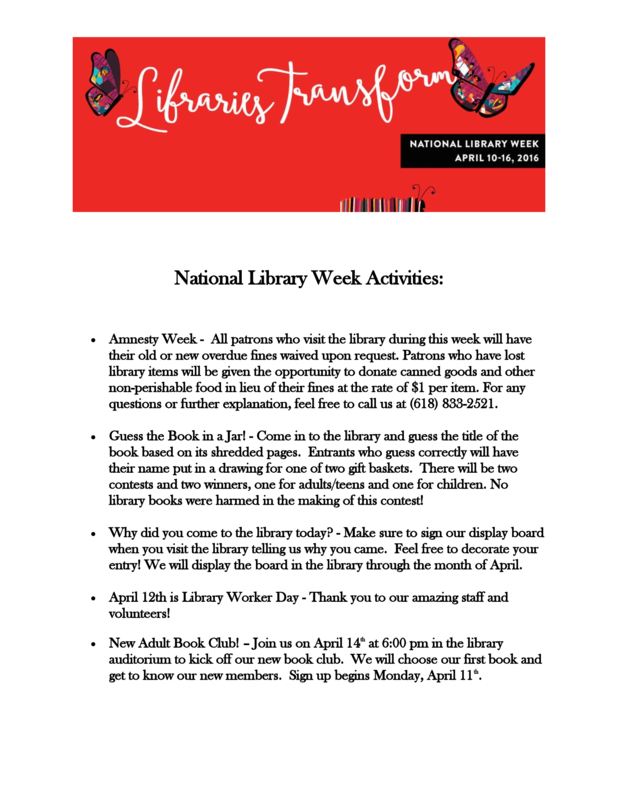 [Completed] National Library Week is Upon Us! Additionally, we are starting a BOOK CLUB! It has recently come to our attention that many patrons are having trouble accessing iPac. Click on the iPac link in the menu directly underneath the picture of the library. Click on “Click here to go to iPac” on the iPac information page. To access your account, you will have to have your library barcode and a pin number. See library staff if you do not already have a pin number assigned.